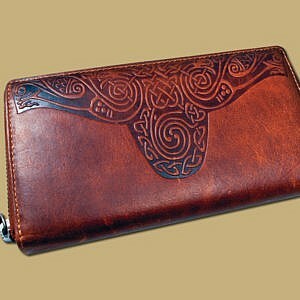 Rustic Tan Celtic Ladies Clutch Leather Bag from Lee River Leather. 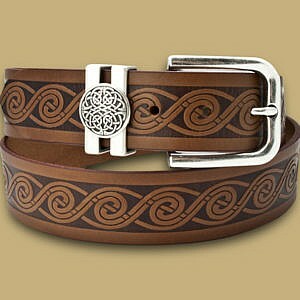 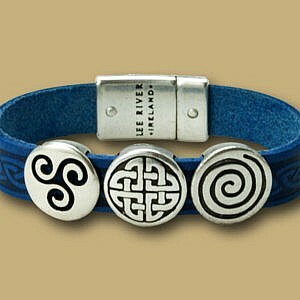 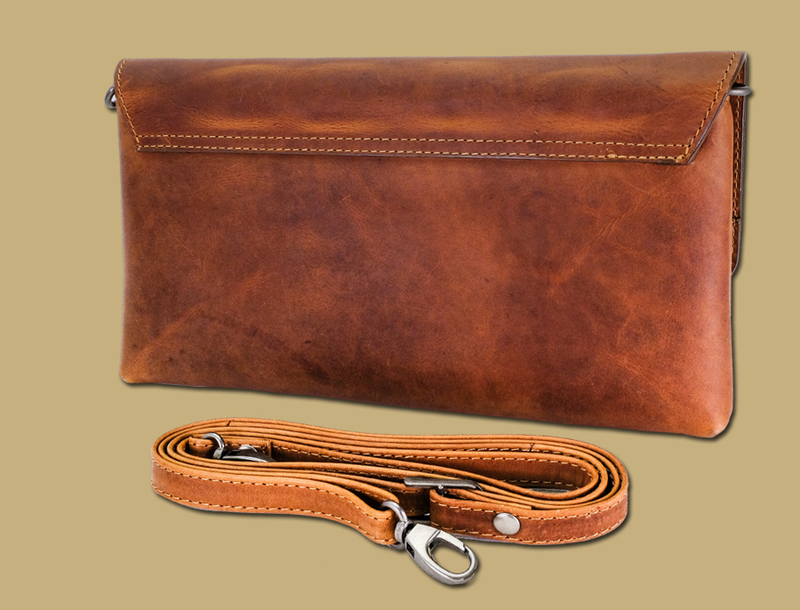 Designed in Ireland and made in premium veg tanned leather. 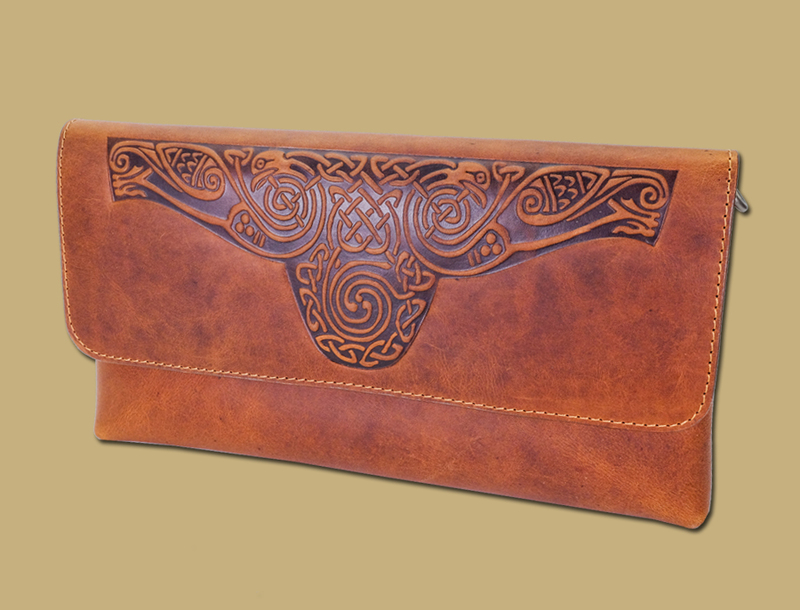 Bold and full width embossing of Celtic swans sets this bag apart. 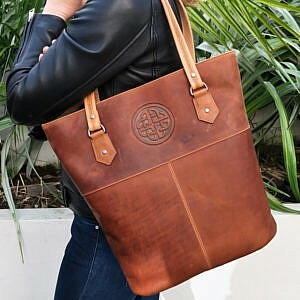 Rich and Oiled Tan Leather. 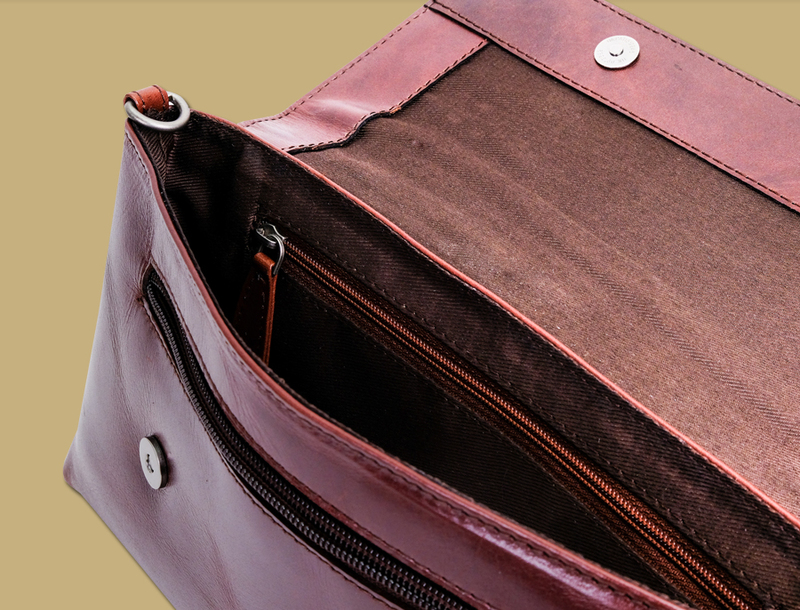 Detachable shoulder strap which means the bag can be used as a classy clutch bag for evening wear, or used as an every day carry bag for your essentials. 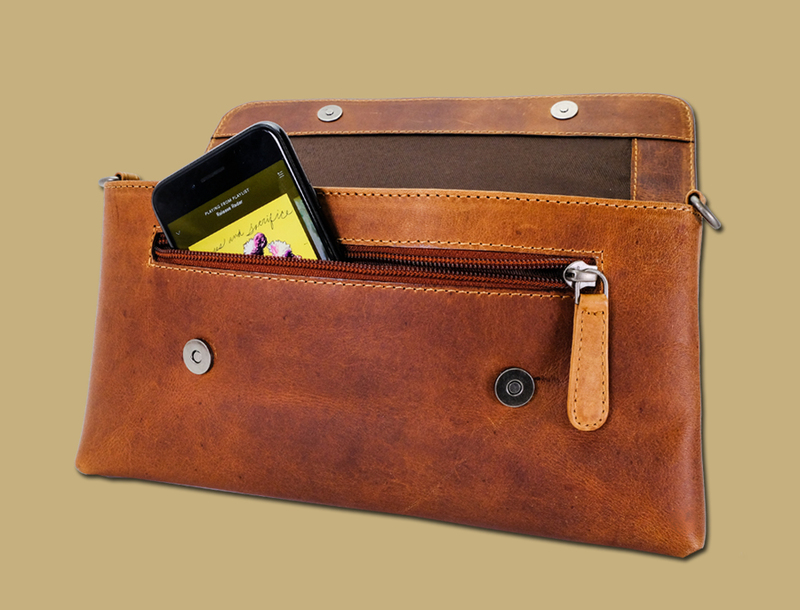 Fits a standard size phone in the front zip pocket. 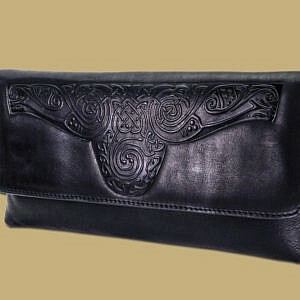 Inside features another zip pocket.